Rahman never published a full memoir, but there are several short sources where he tells some of his story. One is "A Detroit Black Panther's Soldiering Journey with Malcolm X," his account of his time as a Black Power activist in Chicago, a soldier of Malcolm X, and a Black Panther in Detroit in his contribution to Edozie and Stokes, Malcolm X's Michigan Worldview: An Exemplar for Contemporary Black Studies (link). The second is an extensive interview he provided to Hajj Mustafa Ali in Transformations on his journey to Islam while in prison in Michigan (link). And a third source is his essay "Marching Blind: The Rise and Fall of the Black Panther Party in Detroit" in Yohuru Williams and Jama Lazarow's Liberated Territory: Untold Local Perspectives on the Black Panther Party. On reading these brief recollections and recalling many snippets of conversation over the years, it might almost be said that Ahmad was a Black Panther before the term even existed -- as a child, as a teen-ager, as a high school student who reacted viscerally and certainly to the Birmingham bombing, and to the visible bonds of white supremacy and police brutality in Chicago and Mississippi in the early 1960s. Ahmad was of a generation of young men who did not easily accept MLK's advocacy of Gandhian non-violence and who felt that forceful self-defense was entirely legitimate. I don't think this was an unusual point of view among young black men of the generation who came of age in the 1960s, and it seems clear that Ahmad's older brothers had much the same feelings. Like Richards, Rahman too eventually became an intellectual, a historian who wrote extensively on African and African-American history. His book The Regime Change of Kwame Nkrumah: Epic Heroism in Africa and the Diaspora provides a careful political biography of Nkrumah in the context of pan-African liberation movements. The book used previously unreported government documents to shed new light on the actions of the United States in Africa in the 1960s, including particularly the assassination of Nkrumah. 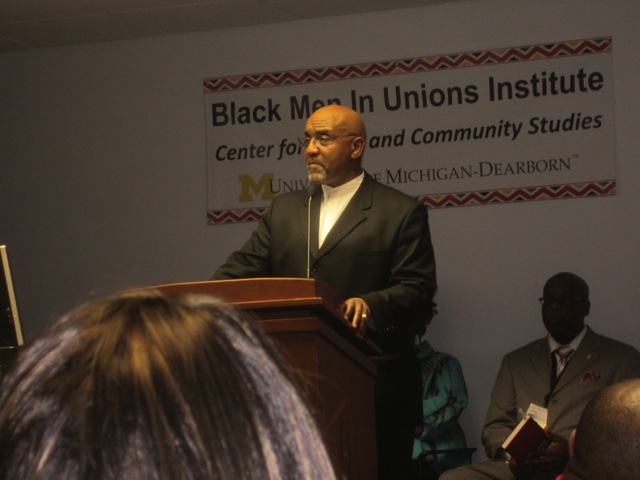 (Some of Rahman's research skills later in life were honed during prison through his efforts to use FOIA documents from the FBI to piece together how the Black Panthers had been undone in Detroit with such efficiency.) But Rahman's pathway to a life as a creator of new knowledge led through activism and profound engagement rather than through a primary interest in knowledge and discovery for its own sake. His scholarship was diligent and rigorous, but it was not disinterested. He almost always had a point to make about racism, power, and inequality, and his academic writing had this character as well. Most fundamentally, he wanted to expose the hidden lineaments of power and white supremacy in order to assist in the struggle for liberation and equality. It was Malcolm X's response and call to action that caught the young Rahman's admiration. As a teenager in Chicago Ahmad learned of Fred Hampton's efforts to form a Black Panther branch in Chicago, and he engaged himself with the party. 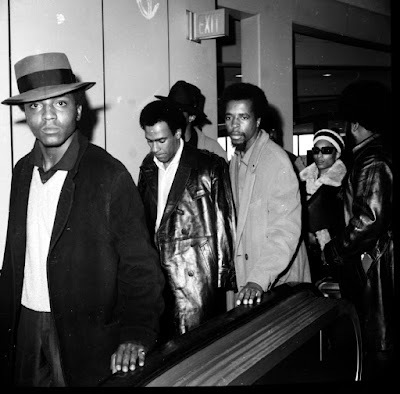 Soon after he went to Detroit to help in the establishment of a Detroit branch as well, and by 1970 he was fully involved in the Detroit Black Panther party. Several episodes of defiance and resistance described in the "Soldiering Journey" piece give a good sense of Rahman's state of mind during this period. This development seems to make several things clear. First, the boy and adolescent Ahmad had a personality that was strongly keyed to responding forcefully to perceived injustice. And these traits are equally evident in his memories of incidents of coercion against him in Detroit. These same dispositions seemed to be part of his older brother Eddie's character as well. Second, the environments in which he lived -- Chicago and Mississippi -- gave very specific and deep instruction to the young man about the nature of racial injustice and white supremacy surrounding him. Third, Rahman's exposure to ideas mattered a great deal in his development -- to the ideas of Elijah Muhammad and the Nation of Islam, to the Black Power messages of the early founders of the Black Panther movement, and to the primary texts of resistance and revolution to which he was exposed -- Franz Fanon, Marx, Lenin, Che, Mao. (He once said to me that a smuggled copy of Mao's Little Red Book got him through the ordeal of the first few years in prison.) 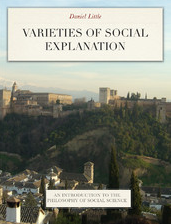 Finally, none of these influences would have brought about the particular chemistry of the activist-historian-scholar that Ahmad became, without the presence of a powerful intellect, a desire to make sense of the social world that surrounded him, and an active skepticism about status-quo explanations of things. Putting these points together, Rahman's development seems more predictable and logical than Richards'. In spite of the dramatic contingencies that arose in his life history, there seems to be a fairly direct line of development from the twelve-year-old in Chicago trying to make sense of the Birmingham bombings to the activist-scholar of the current decade. Here is a video interview I did with Ahmad in 2008; link. Readers may also be interested in Lance Hill's historical study of the Deacons for Defense, a predecessor to the Black Panthers in The Deacons for Defense: Armed Resistance and the Civil Rights Movement. Here is an earlier post on this group (link). Really fascinating. I ran across you by accident; I'll be sure to check out the references.